$0.39 & FREE Shipping on orders over $59. This gasket is not necessary when connecting female flare fittings to the plastic MFL quick disconnects because they have a plastic washer built in. I'm buying spares for later. Need for attaching my gas in / liquid out fittings. Can never have enough flare fittings. I swear, I'll die, and when they come clean my apartment there will be a mountain of these underneath every piece of furniture. No idea how they constantly seem to escape when they're most needed. Do I need to purchase a flare fitting washer with this set? 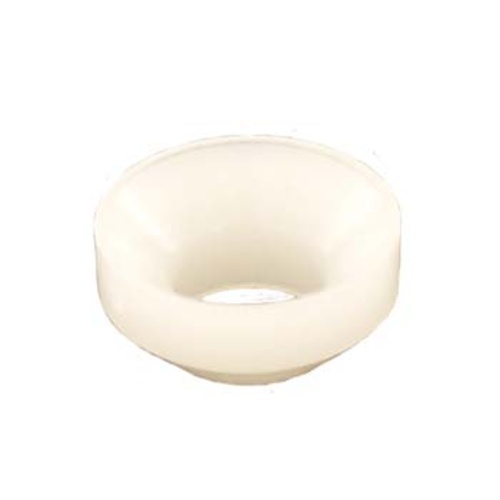 BEST ANSWER: You need a flare fitting washer for every flare connection you make. Also get lots of extras, since they're tiny and easy to lose in a drain, etc. Not always. Some ball locks include a Teflon fitting on the end of the threads which takes the place of the washer. A washer is required whenever you would have metal-to-metal contact without the washer in place. Oops- Luigi is right. I have some male fittings like he mentions. You need a flare washer for *almost* every connection you make. It's a fitting, it works. It works, that's all I expect from a fitting. Works as intended. Will buy again. easier to have a few extra on hand - always the simplest parts that are needed and these definitely do the trick! Order more than you need! Have spares on hand....you won't regret it. I have had these on my faucets for some time and they are still working just fine. I thought the metal on metal on the flare fittings would work but turned out I needed some help, It looks like these guys did the trick.